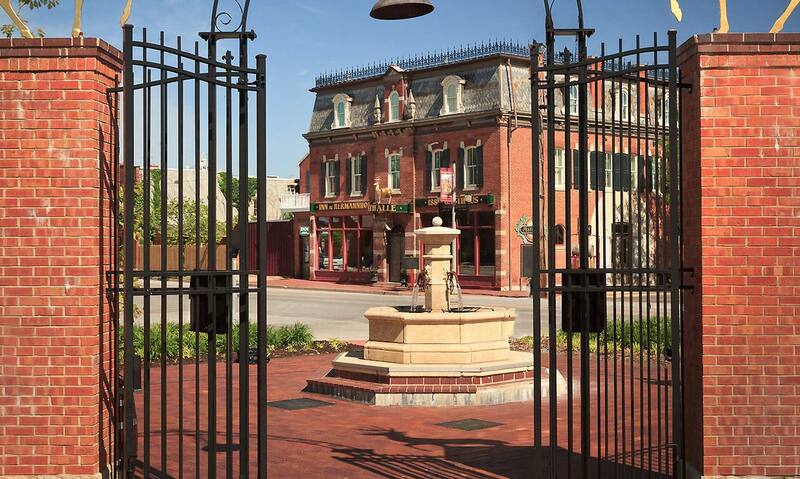 Experience historic elegance and gracious hospitality in our fully appointed guest rooms, which seamlessly combine old world charm and modern luxury in our Hermann, MO Inn & Suites, Cottages and Whole House Rentals. Highly recommended by discriminating travelers, our boutique hotel and hillside cottages offer forty beautiful suites, fully restored with every attention to architectural detail and comfort. Each guest room at our Hermann Inn has a private bath, European-quality linens, and is furnished with both period antiques and reproductions designed to celebrate the lifestyle of a bygone era. 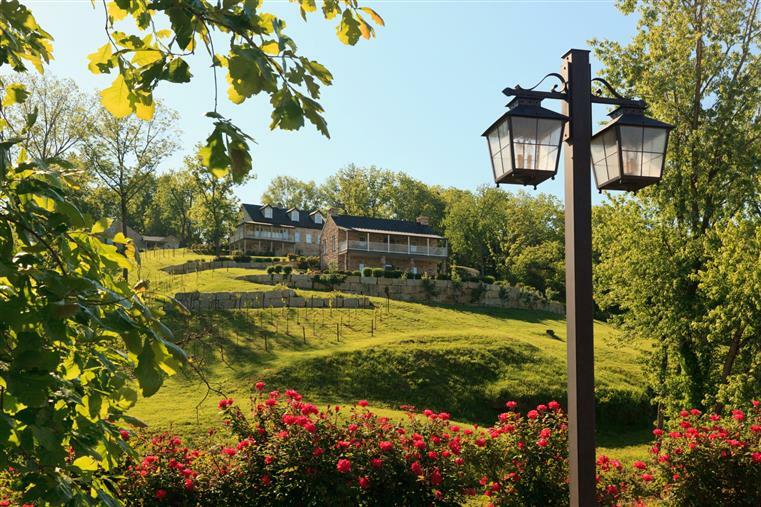 Guests will enjoy luxurious amenities, fireplaces, two-person soaking whirlpool tubs, steam showers, and a complimentary bottle of Hermannhof wine served with a cheese and sausage snack upon arrival. 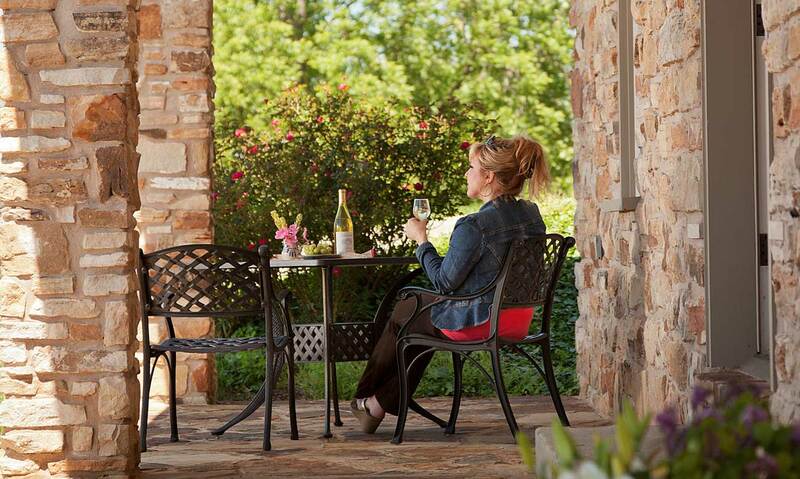 We have several whole-house rentals for groups. 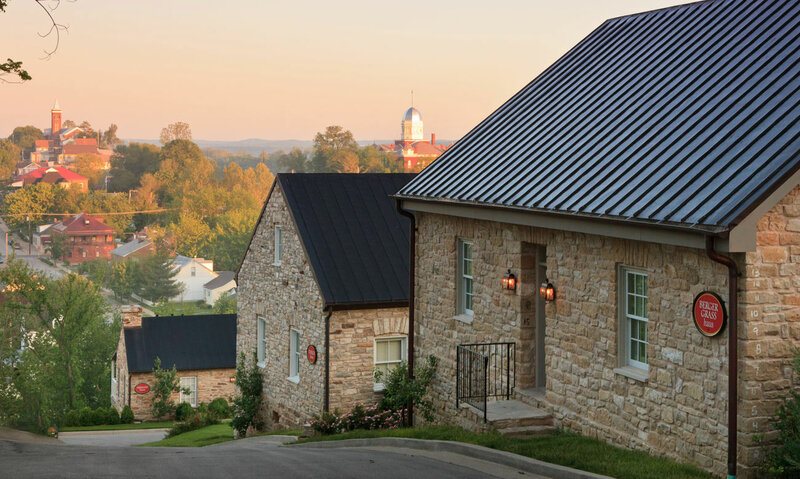 The Brewmaster’s Haus is a two-bedroom/one-bath guesthouse located right behind the Tin Mill Brewery, within a short walking distance to everything in town. Our Vineyard Cottage is a four-bedroom/four-bathroom guesthouse and is perfectly located across the street from our Hermannhof Winery. Eagle's Nest can be rented as separate suites or as a whole house that will sleep 7 guests. It has 3 private rooms with bathrooms, numerous decks and offers spectacular views for eagle watching! As our guest you will enjoy a full gourmet breakfast each morning during your stay. Choose to stay in one of our eight outstanding guest rooms located on the second and third floors of our Inn, or select one of our unique guest rooms located in hillside cottages a few blocks away on Hermann’s beautiful East Hill. These units are located in fully restored historic wine houses originally built in the mid 1800s. 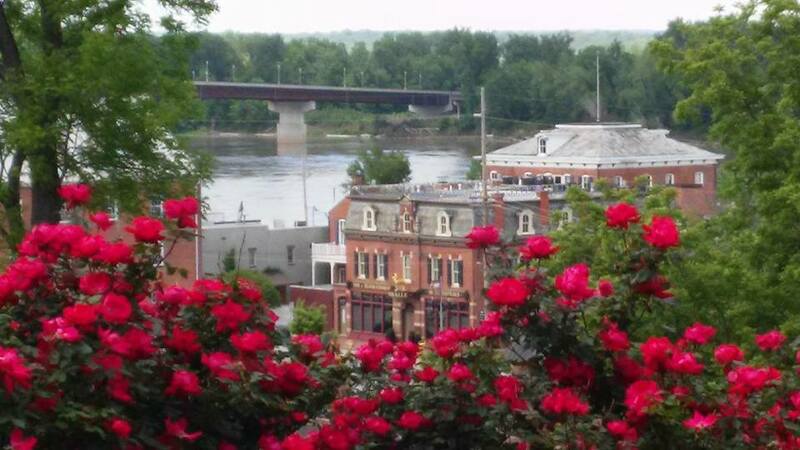 Either way, your stay will include spectacular views of Hermann and the Missouri River. 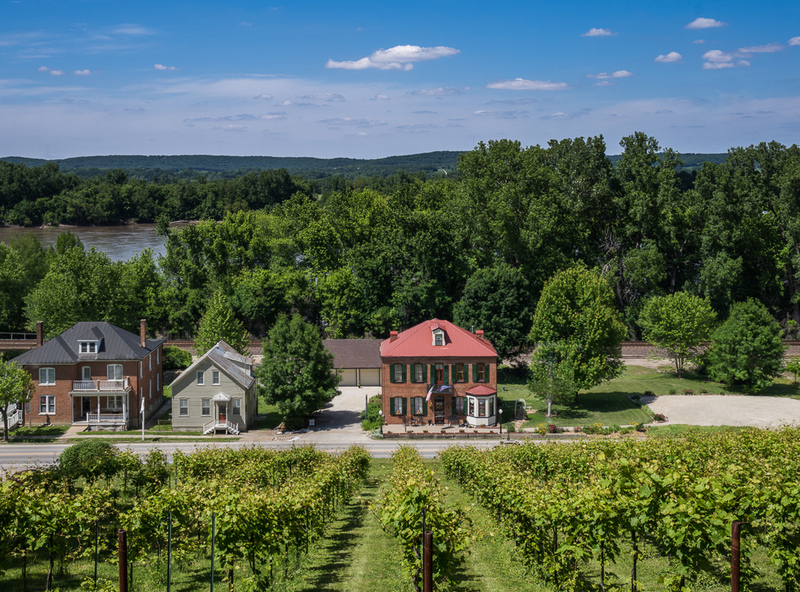 In addition, the world class wineries, shops, galleries and cultural activities within walking distance, will make our Hermannhof the perfect spot for a satisfying and restful getaway in Missouri Wine Country. 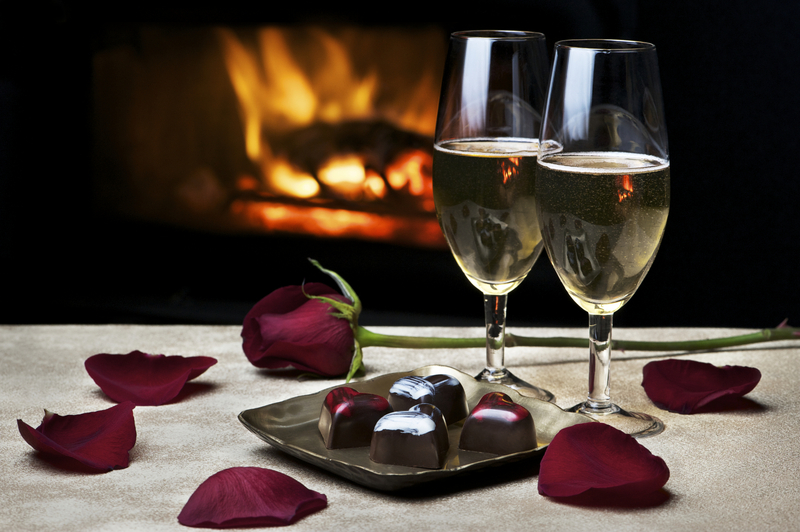 Weddings, Wine Tastings, Corporate Events & Celebrations. 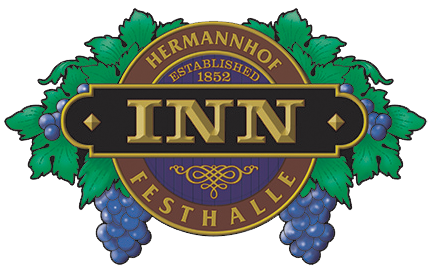 "My husband and I have visited Hermann 7 times now, and have never been disappointed with our stays on the Hill. We have stayed in multiple rooms in the cottages and all have been great. I've looked at other places just to try something new, but none seemed to have the amenities, luxurious rooms, along with the uncompromised view. Highly recommended."